Homebrew Tasting – Remember to bring your homebrews for your feedback session. This is a great opportunity for everyone to get good constructive feedback on your brews. Competition #3 Entries Due During This Meeting! At our last meeting we had a discussion about the value of having the competition and whether we should discontinue it due to the lack of participation. Everyone agreed we need to continue and be committed to submitting our beers. So here’s your opportunity to make good on your promise. PAPPY’S WORT CHALLENGE – SATURDAY, SEPTEMBER 30TH! Hey everyone! this weekend is our pick up for the Pappy’s Wort Challenge. We will meet at Pappy’s @ 2pm to pickup our 6 gallons of Maris Otter wort (bring a container). Remember to bring your $10, which included the wort and a beer while you’re there. Texas Brewing is donating a Deluxe Equipment Kit + Kettle which will be raffled off at our tent. This will get any new brewer started. Invite your friends and family to come to the event and enter the raffle. For more information click here or contact Gary or Tom. • Campsites range from $10 – $20 per family. RV sites and cabins are available at extra cost. • What to bring – Your family, several $1 bills for games, food and anything else you want to have. If someone you know wants to be there and join the club they can pay just $10 for the rest of the year. There will be more information at a later date. Final sign-up and commitment by our next meeting on September 9th. PAPPY’S WORT CHALLENGE – SATURDAY, SEPTEMBER 2ND! There will be more information at a later date. Final sign-up and commitment by our next meeting on September 9th. Big thanks to Doug and Teresa for hosting our August meeting. Also thank you to Michael Hernandez at Ben E. Keith for your beer donations. Jeramie will have any club shirts ordered at Brick Oven today and tomorrow between 6 and 9PM available for pick-up. If you can’t make it today or tomorrow he will be out of town until later next week. Our club will have a tent setup and brewing demos going on this year. If you haven’t signed up to volunteer you can do so by clicking here. We encourage our club members to volunteer and represent our club, it a great time! TRIP TO RED GAP BREWING IN CISCO, TOMORROW AUGUST 5TH, NOON! Come check out a new brewery close to Abilene, Red Gap Brewing in Cisco tomorrow the 5th @ Noon. Gary Casey will be organizing a private tour for the club. Questions? Email Gary at gcasey8777@aol.com. BEER SUMMIT WILL BE ON SEPTEMBER 23RD! Thank You Reed Beverage for Hosting Our Meeting! Our July meeting was a good one. For those of you who missed it we sampled beer, got a great tour of the facility and had a great learning experience. If you weren’t able to make it out we would love to see you at the next meeting in August. NEW CLUB T-SHIRTS NOW AVAILABLE FOR PRE-ORDER! Our new club T’s are in so grab yours now. You can order them individually by following this link. A local company will be printing them off so the more orders we get the more money the club will make. All purchases need to be made by July 31st. The club collected $140 from the raffle at our July meeting. Thank you to everyone who bought tickets and a special thanks to those who donated items: Matt Johnson, Jeremie Sivley, David Kasselman, Brick & Forge Brew Works and Pappy Slokum! Our raffles are only possible because our great members donate items for the clubs benefit. If you would like to donate an item for any of our next raffles (equipment, ingredients, etc.) please let us know by sending a text to 325-513-6628. TRIP TO RED GAP BREWING IN CISCO, NOON AUGUST 5TH! Come check out a new brewery close to Abilene, Red Gap Brewing in Cisco. Gary Casey will be organizing a private tour for the club. Questions? Email Gary at gcasey8777@aol.com. TOP 50 COMMERCIAL BEER CLONE RECIPES. Behind every great brewery are skilled craft brewers. These men and women shed blood, sweat, and tears to bring their range of traditional and more experimental beers to our glasses. But what you might not know is many of these professional craft brewers had humble beginnings as homebrewers in their garages and backyards. Since there are over 1.2 million Americans out there who brew beer at home, we reached out to craft brewers (and a few mead makers) all over the country to compile a list of commercial beer clone recipes. Scanning this list, you’ll find a clone recipe from a craft brewery in every state that has been scaled down to 5-10 gallon batches, so you can enjoy making these commercial beer clone recipes at your home brewery. Saturday, July 8th – BCHA Meeting / Pool Party!! Our last meeting went really good, thank you to everyone who came and participated and we hope to see as many members as possible at our next meeting. Our first anonymous tasting went really good and our brewers got some really good feedback. Big thanks to David Beckham, Tom Bradley, Pappy Slokum and Sockdolager for your donations to our raffle! Congratulations to Doug Price for winning a pound of hops in our IPA trivia quiz. Back in December 2016, we published an xBmt article on post-fermentation oxidationwith results showing participants could not reliably distinguish between a Pale Ale kegged using either high or low oxidation methods. These findings surprised many, present company included, and naturally led to speculation as to why the beers weren’t more disparate in character. While some claimed the damage had already been done to both beers since low oxygen (LODO) methods weren’t used to brew them, the fact oxidation is a commonly cited issue in beer that isn’t brewed using said methods suggested something else may be at play. June 10th is our clubs next meeting. We will be giving out the awards for our first club competition of the year and your entries for the next competition will be due as well. Remember bring some of your delicious homebrew so you can get feedback from the club and keep growing as a brewer. It will be a great time, don’t miss it! The next club competition entries will be due this meeting. This is an open competition so bring your best beers and participate in these great comps. $2 per entry and you can only enter a specific beer entry one time throughout the year, maximum of 2 entries per person per competition. We will also be giving out the awards from our first competition during this meeting as well. We have a new section on our site under “Member Connection” for Abilene water profiles. If you modify your brew water then this is a great resource for you to dial it in. Even if you’ve never messed with water chemistry this will give you an idea of the water your using in your brew. Not Sure What To Brew Next? Need Some Inspiration? 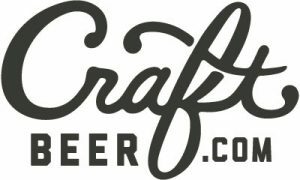 Craftbeer.com has a great resource for beer styles. This page is laid out beautifully with pictures and great description on many different beer styles. You can use this page to dial in a specific recipe or just to get some inspiration on your next brew. Check it out!